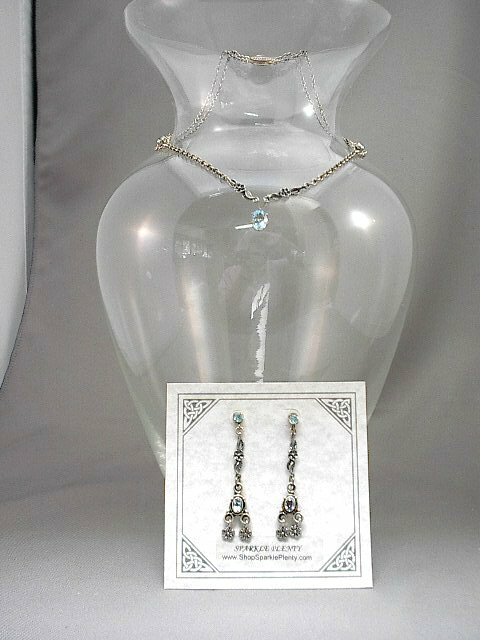 Blue topazes, December?s birthstone, sparkle and wink like flirtatious hussies in this gorgeous necklace and earrings set. The 18-inch necklace features an 8x6mm oval pendant and a pair of 7x5mm oval fully faceted stones set in sterling silver. The ultra-feminine colour is known in the trade as ?sky blue,? and is the lightest of the blue topaz shades available. Both necklace and earrings feature sterling silver floral motif links. The earrings also feature more sterling-set blue topaz faceted stones: 7x5mm oval, and 4mm round in the earring findings. The earrings dangle about two inches from their sterling silver posts to their floral drops. 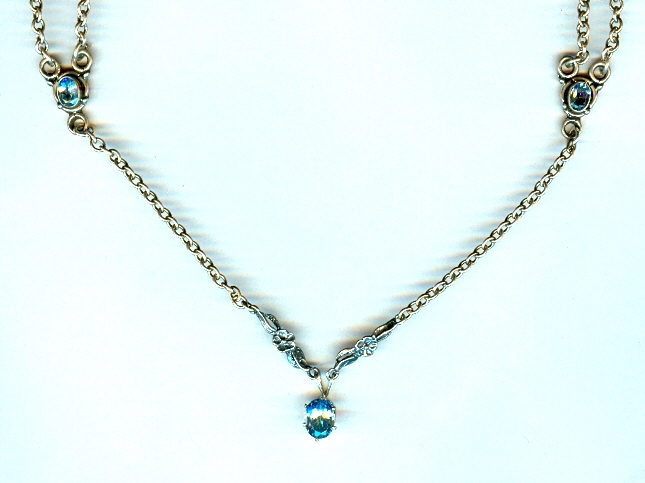 Sky blue topaz and sterling silver: it?s another fabulous combination from SPARKLE PLENTY.